Roads have stories. The dark highway in Quang Nam Province, Viet Nam, could have told a very different story for Mrs Li Thi Dang Nghia late one evening in 2017. Mrs. Nghia was crossing an intersection on a national highway on her motorcycle. Despite being a careful driver herself, another vehicle crashed into her and she was thrown to the ground. Her head hit the sidewalk and she was knocked unconscious. Fortunately, Mrs. Nghia was wearing a helmet (“hat insurance” in the direct translation from Vietnamese). Although she was injured, it could have been much worse: use of a helmet has been proven to reduce the risk of death by 42% and serious injury by 69% in a crash. 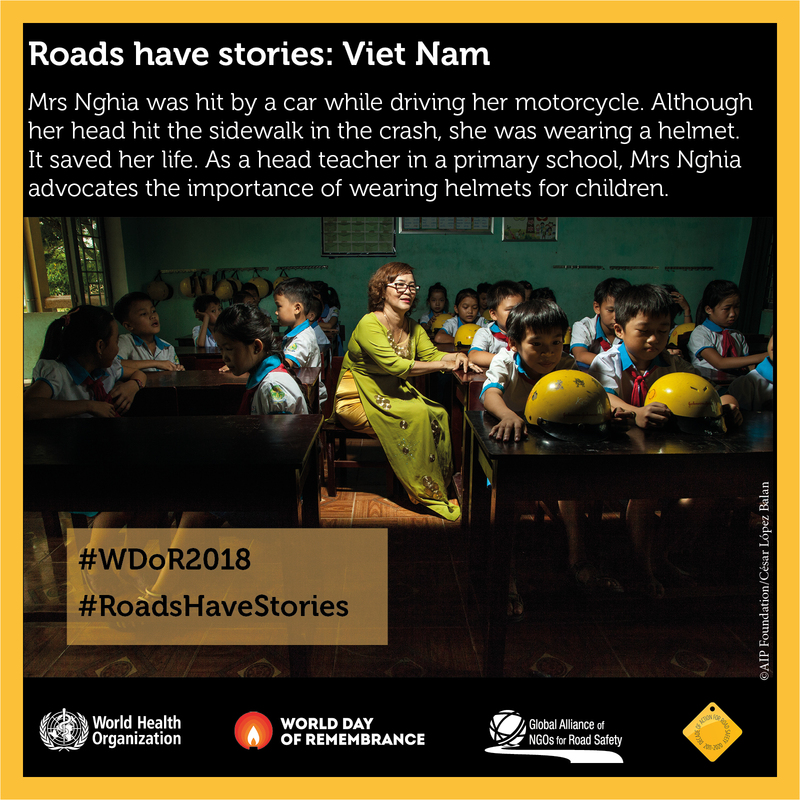 Mrs Nghia and her students understand the importance of wearing a helmet and her experience has made others think: many people have asked her about the quality of her helmet and where they could get one. Read more about Mrs. Nghia’s story in Head First: A Case Study of Vietnam’s Motorcycle Helmet Campaign and more about AIP Foundation HERE.